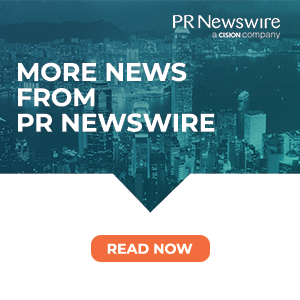 HONG KONG, March 22, 2019 /PRNewswire/ — OP Investment Management Ltd. (“OPIM”), Asia’s leading hedge fund platform, is partnering with Spectron Capital to launch Spectron FX Fund, which is Cayman-domiciled and for professional investors only. The absolute return fund will deploy fundamental, macro FX strategies expressed through G10 currencies. 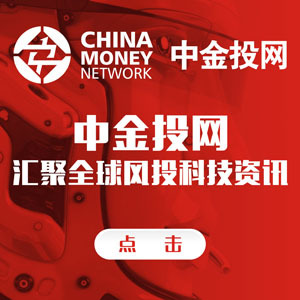 Founded by Mr. Chuan Hong, the Fund will deploy two strategies. The first uses a top-down approach by analyzing macroeconomic data to monitor currency volume, prices, and cycles to trade currency spots. The second is a tactical strategy that will incorporate technical factors and examine historical price patterns to determine the strength of market trends affecting G10 currency pairs. Signals generated from both strategies will help determine the holding period of the positions. In the short term, these can be intraday, while medium to long term positions can range from three to six months. Mr. Hong is the founding member of Spectron Capital, and the sole portfolio manager of Spectron FX Fund, having built his track record on over 6 years of proprietary trading experience in FX. Mr. Hong received his Bachelor of Science Degree in Chemistry from Imperial College London. “Spectron FX Fund is a great opportunity for Asian allocators to gain global exposure to macro themes outside of traditional equities, a strategy which has the tactical flexibility to generate absolute returns in different economic cycles and market conditions,” remarked Alvin Fan, Chief Executive Officer of OP Investment Management. About OP Investment Management Ltd.
OPIM is a leading Hong Kong based asset management company established and licensed since 2004 with Hong Kong Securities and Futures Commission (the “SFC”) to carry out Type 4 (advising on securities) and 9 (asset management) regulated activities under the provisions of the Securities and Futures Ordinance (Cap.571) (the “HK SFO”). The company is also a member of the Oriental Patron Financial Group and associate of OP Financial Investments Ltd. (Hong Kong publicly listed 1140.HK). OPIM partners with emerging managers to develop innovative strategies for institutional and professional investors. OPIM’s institutional fund platform attracts both managers and investors from around the world working with the industry’s best business partners in alternative asset management. Founded in 1993, Oriental Patron Financial Group is an independent financial services group based and fully licensed in Hong with the Hong Kong Securities and futures Commission (the “SFC”). Oriental Patron provides a diverse range of financial securities from Advisory to Investing, Financing to Securities and Research. This document is issued by OP Investment Management Limited (“OPIM”). This document, and the website of OPIM (www.opim.com.hk) has not been reviewed by the Securities and Futures Commission of Hong Kong. This document is solely for information purposes and is not intended as an offer, a solicitation of offer or a recommendation, to deal in shares of securities or any financial instruments. Past performance and the predictions, projections, or forecasts on the economy, securities markets or the economic trends of the markets are not necessarily indicative of the future or likely performance of OPIM, any funds managed by OPIM, or any future funds to be launched under the Sunrise SPC Platform. Information herein is believed to be reliable at time of publication but OPIM does not warrant its completeness or accuracy and is not responsible for error of facts or opinion nor shall be liable for damages arising out of any person’s reliance upon this information. Any opinion or estimate contained in this document may subject to change without notice. This document may not be published, circulated, reproduced or distributed without the prior written consent of OPIM.